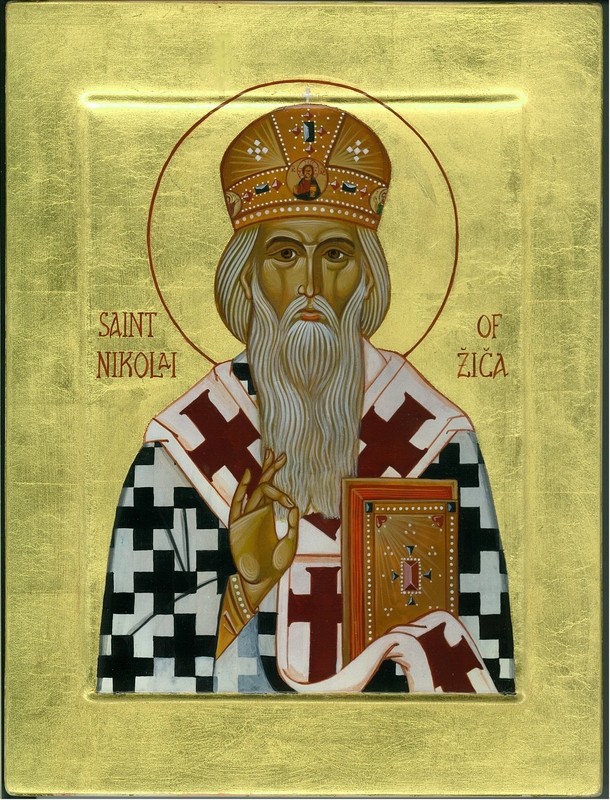 The St. Nikolai Mission in Whitehorse received two very special gifts – a beautiful, hand-painted icon and a portion of the relics of St. Nikolai (Velimirovic), our patron saint. 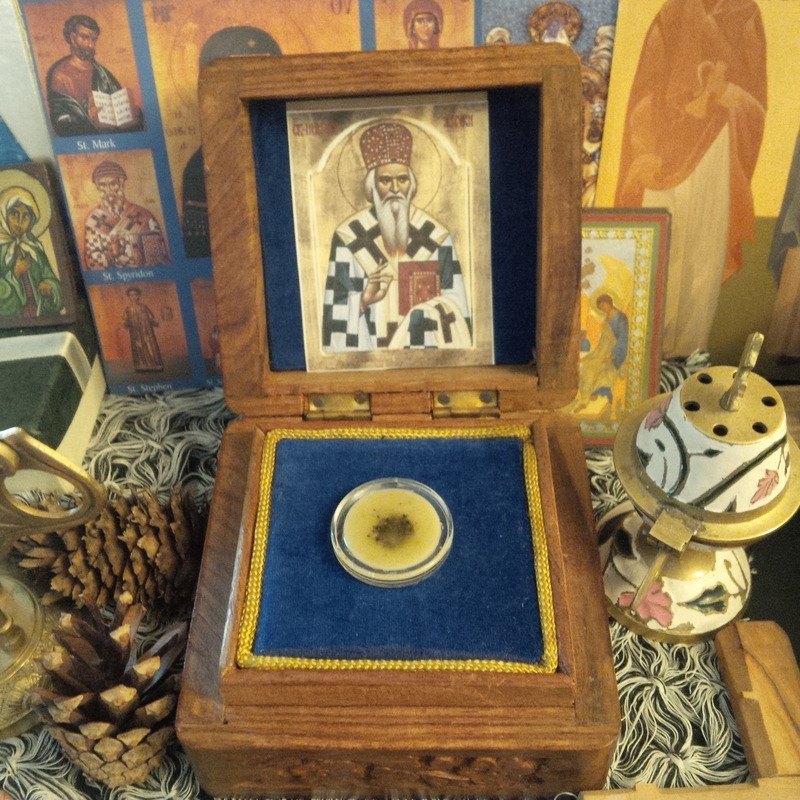 The relic of St. Nikolai, housed in a small wooden reliquary, a gift from Archbishop Lazar and the Monastery of All Saints of North America. The relic of St. Nikolai, housed in a lovely, carved wooden casket, was graciously provided to the Whitehorse Mission as a gift by His Eminence, Archbishop Lazar, of the Monastery of All Saints of North America in Dewdney, BC. The relic had previously been given to His Eminence by His Beatitude, Theodosius, Retired Metropolian of All America and Canada, as an encouragement to the Orthodox Church in Canada. The Whitehorse Mission community expresses its heartfelt joy and thanksgiving, as we now embrace the presence of our heavenly intercessor in our own midst, close to home, in the Yukon! Glory to Jesus Christ! The Mission has also received an icon of St. Nikolai, handpainted by Canadian iconographer Hieromonk Vladimir (Lysak). Donated by one of the Mission’s members, the icon depicts our Holy Bishop Nikolai, well known as the compiler of the Prologue from Ochrid, and as composer of the poetic Prayers by the Lake, bestowing his Archpastoral blessing. The icon and the relics are now present for veneration by the faithful at all services of the St. Nikolai Mission. They are a sign and source of spiritual strength for us all. Holy St. Nikolai, pray to God for us!